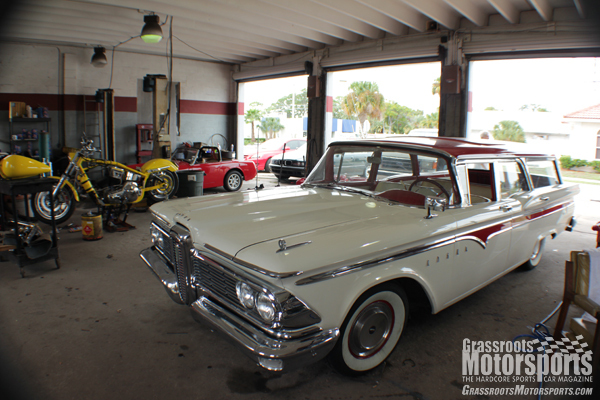 Our 1959 Edsel is firing on all cylinders again. With a freshly rebuilt motor, we're ready to go cruising. 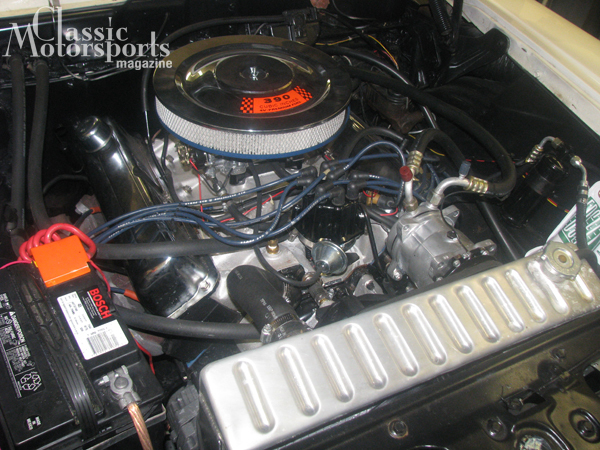 The Pertronix Flame-Thrower distributor has eliminated much of the points-induced headaches associated with a classic car. If pictures could talk, this one would have a really nice rumble. Our rebuilt 390 is finally working well in our Edsel. We shimmed the rocker arms to make the pushrods the right length, solving the problem we caused when we milled our cylinder heads. We were having vacuum advance problems on the stock distributor. We wanted the convienence and reliability of a Pertronix Ignitor anyway, so we opted for their entire distributor. We installed a Pertronix Flame-Thrower billet distributor and tuned in about 34 degrees of timing. We have the same distributor in our Sunbeam Tiger and have had good luck with it. The last step to getting our Edsel running smoothly: changing the radiator cooling fan. We had a no-name fan that we bought at a swap meet, but it didn’t perform well at idle or in stop-and-go traffic. We replaced it with a 2150 cfm fan we picked up at Action Performance in Daytona Beach. More and more, Action Performance is becoming our go-to source for performance parts in the Daytona Beach area. It’s nice to have a brick-and-mortar location to get aftermarket parts here in town. We finished off this phase of the project by reworking our exhaust system. The car now produces a terrific rumble and runs better than ever.